Order in the next 7 hours 3 minutes and your package will ship on Wednesday, May 1. For engraving, order in the next 6 hours 4 minutes and your package will ship on Wednesday, May 1. Order in the next 7 hours 3 minutes and your package will ship on Friday, April 19. 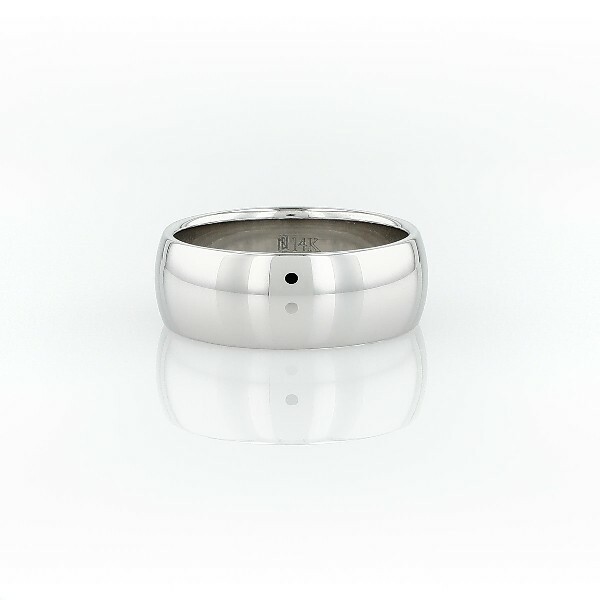 For engraving, order in the next 6 hours 4 minutes and your package will ship on Friday, April 19. This 14k white gold wedding ring is the ideal mid-weight style with a traditional higher domed exterior profile and substantial 7mm width. Curved inner edges make this style extra comfortable for everyday wear.